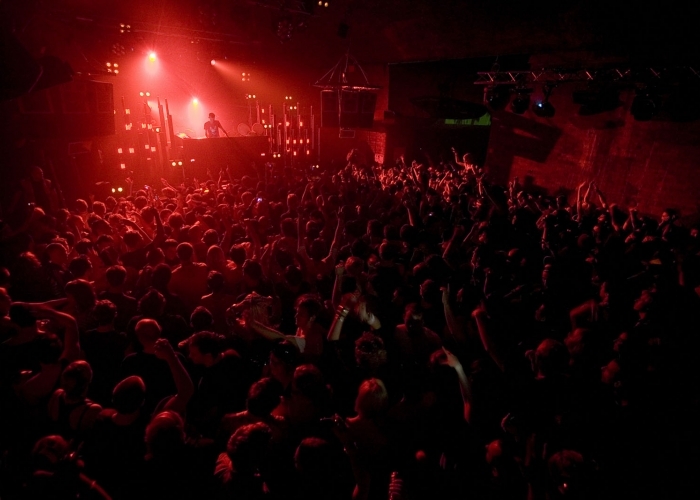 dbnAudile provide full lighting and sound production to Manchester's Warehouse Project. dbnAudile provide full lighting and sound production to one of the UK’s most exciting dance events – The Warehouse Project – which runs every weekend from the end of September to January 1st in the arches beneath Piccadilly Station. 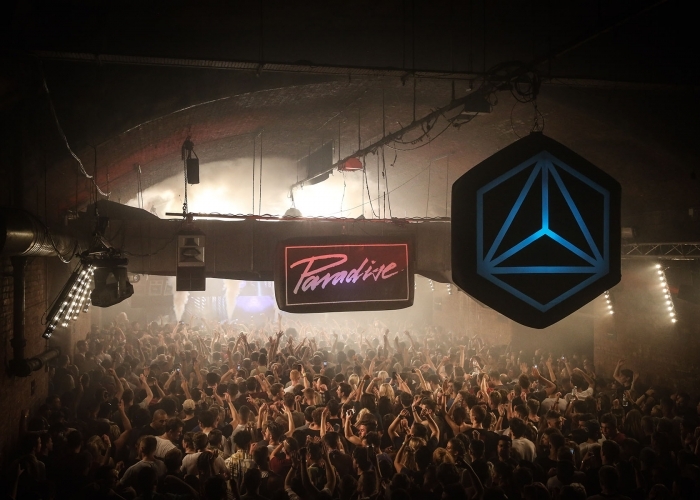 The unique pop-up nightclub features a fantastic DJ line up and live performances from some of the finest dance bands. dbnAudile’s project manager, Pete Robinson, is heavily involved with lighting the event. During the week, the arches are operational as a car park. The Warehouse Project crew get access to the venue at 6 p.m. on Friday night and the rig has to be ready for a 10 p.m. kick off. Although the majority of the lighting stays installed in the roof week-to-week, this 4 hour slot is still an intense period of activity requiring some serious co-ordination to get everything up-and-running. It is a quirky space covering 3 arches, with the main room beneath one arch. Approximately 60 points have been installed in the roof – which offers about 5 metres of headroom – to facilitate the hanging of 7 trusses of various lengths, shaped to the curves of the arches, plus a series of scaff bars for rigging scenic elements, bar lighting, etc. The lighting fixtures were all chosen for their small sizes and high impact. There’s a total of 16 Martin Professional MAC 250 Entours, 8 Clay Paky Alpha Wash 300s and 6 CP Alpha Wash 575 moving lights – distributed across all the trusses – together with 8 Atomic strobes and 16 Studio Due Archiled wash lights which are flat and unobtrusive. In addition to the dbnAudile kit, some i-Pix BB4 and BB7 LED fixtures also grace the rig. The lights all get regularly moved and refocused above the dancefloor and stage depending on the line up, and whether it’s a band/DJ combination, or DJ only. Control is via a Chamsys lighting console supplied by Simon Barrington, who also runs the main room lighting most weekends and is helping to create some amazingly dynamic and colourful environments for dance enthusiasts. The second room has a distinctly retro vibe, so dbnAudile supply High End Trackspots – a quality antique dating back to the roots of the dance era and still going strong. 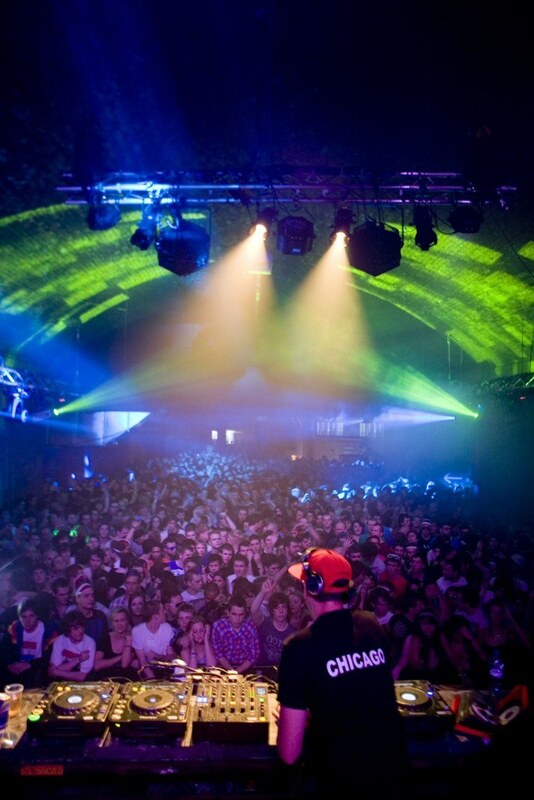 Although they are operated in this instance, Robinson comments that they are still dbnAudile’s favourite sound-to-light disco effect and ideal for gigs like this. In addition to the Trackspots there are 2 Atomic strobes and more Archileds in Room 2, with an Avolites Pearl Tiger for control. 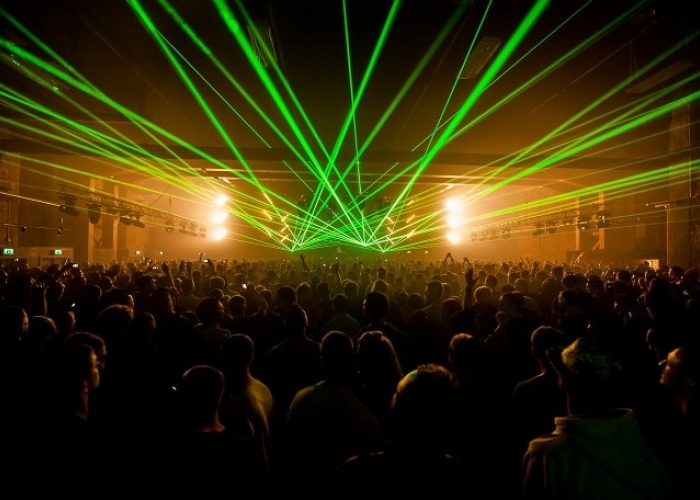 dbnAudile also provide sound to The Warehouse Project, which allows for well integrated technical production across the duration of the event. 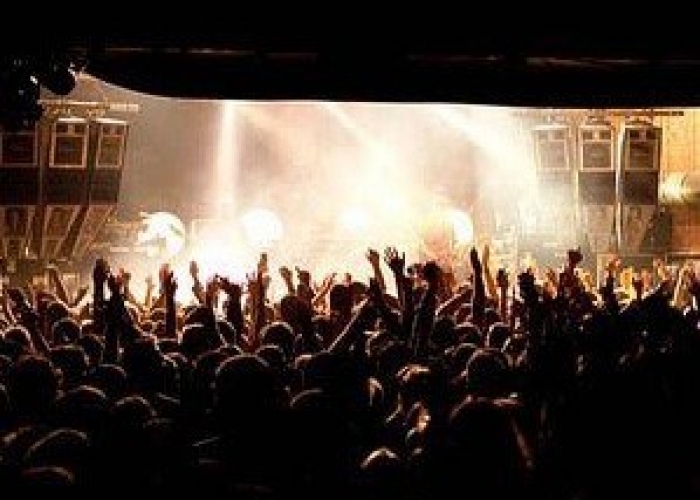 "We had a nightmare with many issues over sound in 2006 - the quality and the leakage. In 2007 we brought in dbnAudile, who ensured we achieved both quality of sound for the customer experience, and re-assurance for the local residents. Since then, across all of our events, we have insisted on using dbnAudile. As a group, we can highly recommend them." 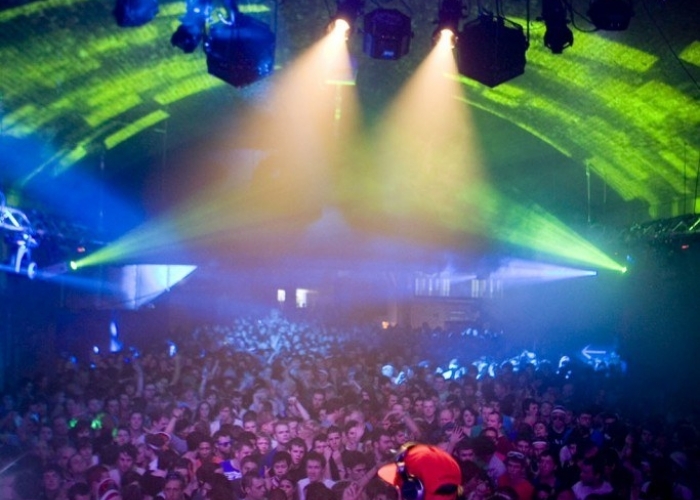 dbnAudile have been working with the Warehouse project’s organisers since the early 1990s’ glory days of the rave scene, and the heyday of the ‘Madchester’ era, when they supplied lighting and special effects for an eclectic assortment of warehouse venues and temporary locations around the city.